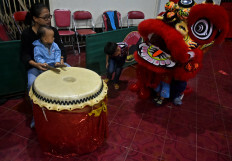 The rhythm of drums and cymbals were heard at the Eng An Kiong Chinese temple on Jl. 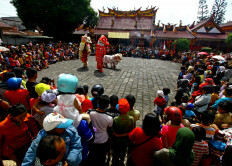 Martadinata, Malang, East Java, on Jan. 26. Dozens of teenagers wearing red shirts ran around the building. Meanwhile, the adults were zigzagging following the rhythm. 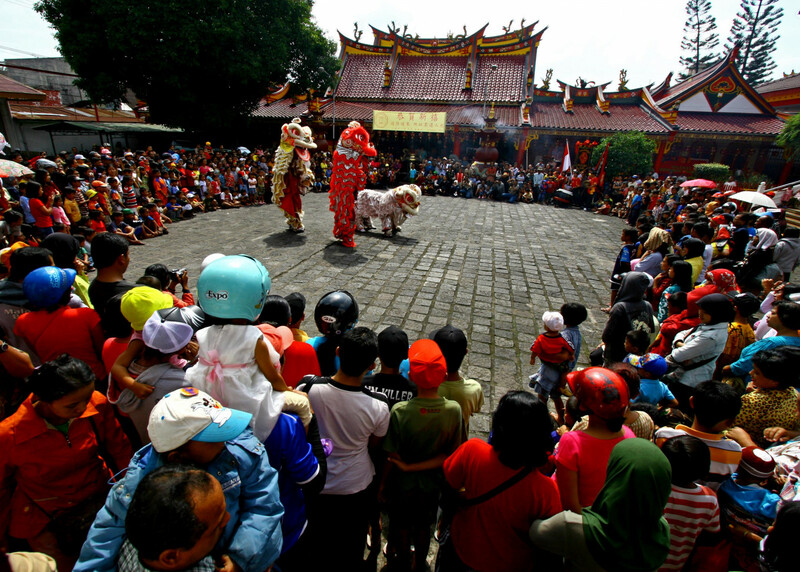 They were practicing the barongsai (lion dance) at the temple, which was built in 1825. 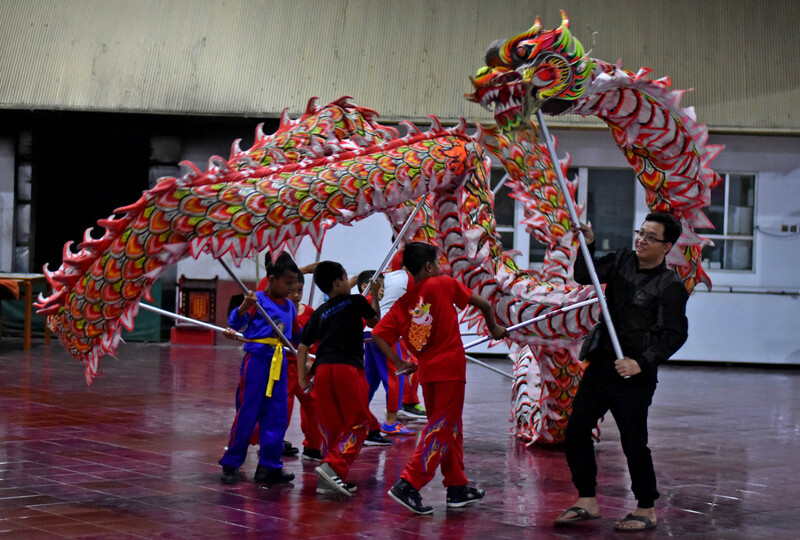 The temple’s barongsai troupe was established on Feb. 25, 2000, with around 90 members today. 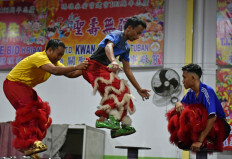 Head of the troupe Handoko Prayogo, 35, said most members were of Chinese descent. 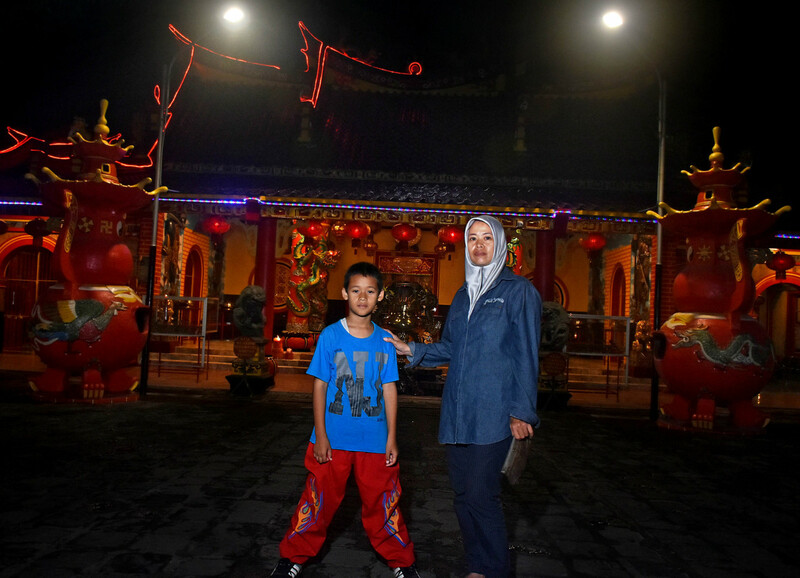 However, the members are from different ethnic groups and different religions. “Currently, there are only 25 active members. 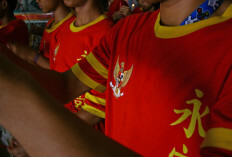 Some of the members have dropped out because of work or to move to another city,” said Handoko. In the span of 19 years since it was established, a few members have become close, even fallen in love and married. “I have been inactive since 2014. 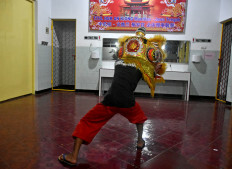 During the Old Order and the Reform Era, Chinese-Indonesians always joined barongsai troupes. After 2000, more non-Chinese people wanted to join us. 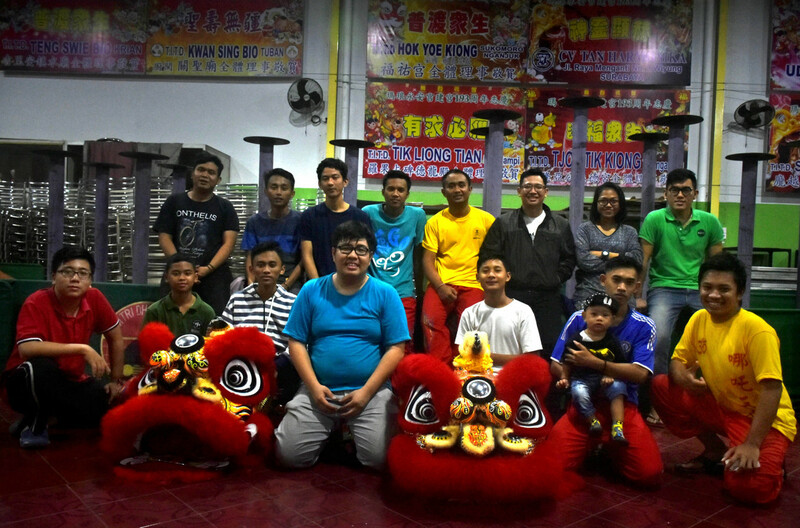 Anyone can join and learn about the lion dance. It’s free of charge. If we get paid for our performances, 30 percent of the money will go to our petty cash while the rest will be divided among all performing members,” said Brilian, a 35-year-old Chinese-Indonesian, who is a Catholic. Bangkit Setia – a 24-year-old Muslim Javanese – married fellow member Vivi Rasti in 2015. “We did not have a special relationship at that time but many friends got us together and so we got married,” said Vivi, who has a 16- month-old son. Bangkit said he joined the troupe when he was in junior high school. “I thought it was cool, funny and challenging. I then tried to seek information on how to join and train for the lion dance. I had thought it was only for Chinese-Indonesians but apparently it’s for everyone,” he said. 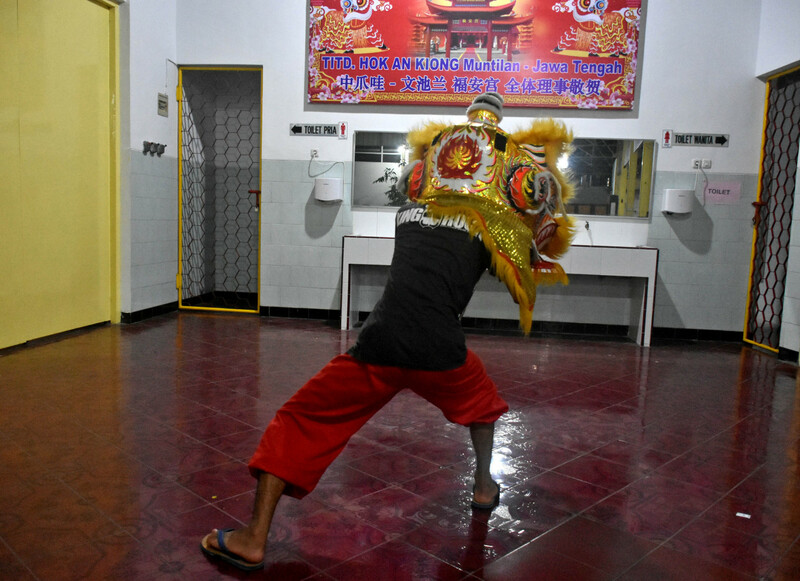 Lusi Hernalisa, 38, said her 11-year-old son Chalvine wanted to join the barongsai troupe after watching their performance in the nearby shopping center. 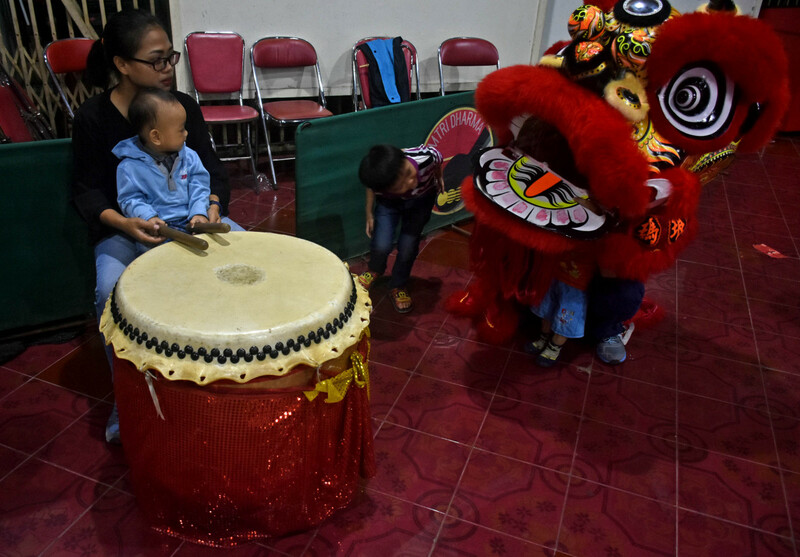 Knowing that the lion dance involved sporting movements and consisted of people from different religions and ethnic groups, she did not object.